Pocket is one of the best 'read-it-later' services on the Web, though it has evolved beyond its core Instapaper-style functionality to offer a broader range of tools. One of its key features is the way in which you can save almost anything from almost any platform. Here are the key shortcuts to use on the Web and on mobile. The easiest and most obvious way to save articles and content from the Web is through an official Pocket browser extension; in fact, you'll be prompted to download one as soon as you've signed up for the service. Extensions are available for Chrome, Firefox, and Safari, but if you're using Internet Explorer you can install the bookmarklet instead (it works in a similar way, but you'll need to have your bookmarks visible to use it). With the extension installed you'll notice a new Save to Pocket option on your browser's right-click context menu, giving you more options when it comes to saving articles back to your Pocket account. It also means you can save links to Pocket by right-clicking on them without having to open them up in your browser at all. PDFs can be stored in Pocket as they have a unique URL on the Web, but Office documents and similar files aren't supported. If you're stuck on a computer where you can't install extensions and bookmarks, head to http://getpocket.com/edit to type out the URL manually. Sign up for a Pocket account and you can post articles straight to your online locker by emailing links to add@getpocket.com. The first time you do this, you'll be prompted to confirm your email address, but after that the process should work seamlessly. Has someone sent you a link at work that you want to check out later? Forward it on to Pocket. Make sure that the link in question is somewhere in the body of your email and that you're only saving one link in each message. As elsewhere on Pocket, if you save a website link rather than an article link, it will open from Pocket as a standard Web page. 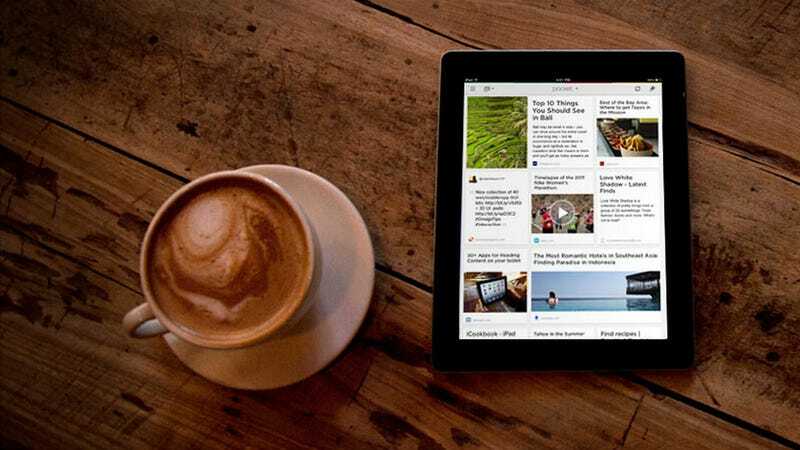 Articles are given a special distraction-free layout along the same lines as Instapaper. Pocket has official apps ready and waiting for Android, iOS and Amazon devices, and while you'll be using these primarily for catching up on stuff you've queued up, you can also save content from these apps too. The apps are free to download and install, and once you've logged into your Pocket account you're all set to start saving. It's easiest on Android: tap the Share button just about anywhere in the operating system and you'll see Add to Pocket appear as an option. In some cases this is baked straight into the app—press and hold on a tweet in the Twitter app, for example, and you can save it to your Pocket account to refer back to later (if the tweet contains a link, the linked article is saved instead). On iOS 7, you'll need a Pocket-compatible app as well as the Pocket app—TweetBot, Flipboard and Reeder all support Pocket. As of iOS 8, you can add Pocket to Safari. Pocket plugs right into IFTTT, which opens up your options even further. After connecting your Pocket account, use any RSS feed as a trigger and then save the resulting link to your online store. Depending on how the RSS feed is formatted you may have to tweak the recipe a little to get the articles, images or videos looking their best in your Pocket queue. You can use almost any IFTTT trigger in the same way. Updates from your social media accounts, images from your mobile apps, posts from your blogs and videos added to your Watch Later playlist on YouTube can all be sent to Pocket automatically if you wish. It's possible to Pocket the most popular stories on Digg, new topics on Reddit, articles saved on Feedly, features from the New York Times and more besides. Any other fun Pocket tips? Let us know below!